Cats make a great pet. They have multiple therapeutic benefits, but you definitely want to make sure you help your cat as much as it is helping you. Sometimes, your cat might not require so much maintenance to stay happy and healthy. However, other times, keeping your cats happy may not always be such an easy task for you. Different cats tend to like different types of toys and activities. Some cats love to climb, some cats love to hide and most cats like scratching up all your couches and chairs. Cats like to scratch for a number of reasons. Scratching is very good for their claws and paws. The outer layer of their claws is usually dead, so they scratch it off to get rid of it. They also have glands inside the next layer of their claws. These glands release a scent, which allows cats to use scratching in order to mark their territory. They can also visually mark their territory by scratching because scratching often leaves scratch parks, especially on less durable furniture. Therefore, while you may not necessarily think that it is a good sign when your cats are tearing apart your couches, it is pretty healthy for them. Additionally, it is a decent exercise. Scratching helps them stretch and play, so you do not want to discourage cats from scratching. At the same time, you do not want to have to replace your furniture. Instead, you should have a scratching post for your cat. Scratching posts that are specifically made to encourage healthy scratching habits are designed to ensure that your cat does not continue scratching at your furniture. You will obviously have to figure out what your cat’s preferences are. However, once you know what materials and designs you and your cat like, you can find a good cat scratching post that will suit all of your needs. You will save your furniture and keep your cat both healthy and happy. The SmartCat Pioneer is a strong 32-inch tall post that is made from durable sisal fibers. It is a more traditional post that works for cats of all sizes. This cat scratching post was designed so that cats could stretch themselves out as much as they want as they scratched. Therefore, it is 32 inches tall. 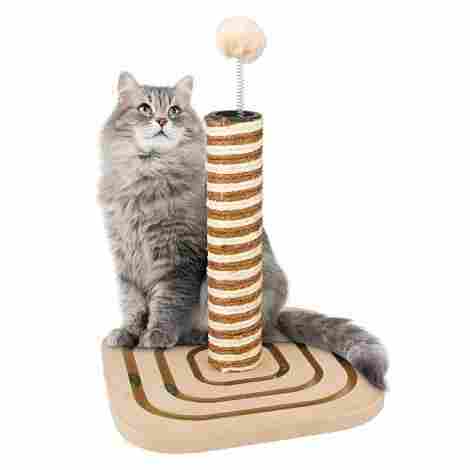 If you know that your cat is going to be putting their weight into the scratching post, this will be the one you want to get for them. The base is sturdy, and the sisal fibers are strong, so this post is bound to last you a long time. This definitely isn't the cheapest product on our top ten list, but it's strong fibers will ensure your kitty will be able to use it for a long time before it needs to be replaced. MidWest Homes For Pets Feline Nuvo Cat Furniture is a 41-inch cat scratching post made from tough natural sisal. The base of this post is 19 x 19 inches. With such a tall post, your cat will be able to climb, scratch, stretch and play. It is definitely designed for larger cats who would not be able to fully stretch on a smaller post. The durable sisal-wrapped fibers on this cat scratching post are going to be able to withstand a lot of rough scratching, even from the strongest cats with the sharpest claws. For $50, you can buy this cat scratching post, which is a good price for such a large piece. 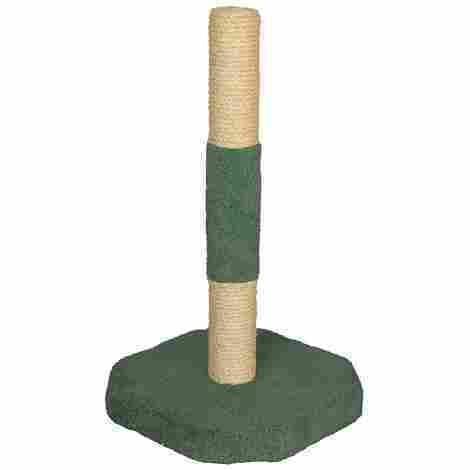 The Trixie Pet Products Pepino Scratching Post is 35 inches tall with a 22 x 22 base. It comes with a cushion on top if your cat wants to sit. This cat scratching post can keep your cat busy in more ways than one because it comes with a dangling plush pom-pom toy and rope if your cat wants to play. Everything from the sisal to the cushion on the top to the round base is a deep brown color, which gives this catch scratching post and unique and stylish look. The estimated price of this catch scratching post is between $50 and $60. While you can definitely find cheaper options, you will be hard pressed to find a cat scratching post that looks this attractive in your home. The North American Pet Class Kitty is a carpet scratching post that comes in the three sizes (20 inches, 26 inches, and 32 inches) and three different colors (beige, white, and brown). If you like animals besides your own cat and are concerned about other aspects of the environment, then you will be happy to know that this United States manufacturer only uses environmentally sustainable materials. This scratching post is made from a carpeted material, which is different from the sisal fibers that are used it many other brands. It is definitely very soft, and some cats prefer it. 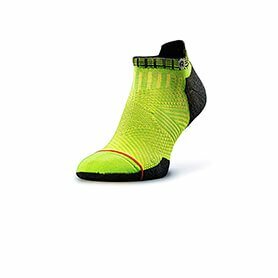 Each size will be a different price, but you will be paying within a reasonable price range, especially for United States manufacturers. The 4Claws Scratching Post is a 26 x 5.7 x 5.5 wall mounted catch scratching post. It comes with hooks to help you mount it to your wall. This catch scratching post relies on your wall for support. When it is mounted properly, it is most likely going to be sturdier than a free-standing cat scratching post. 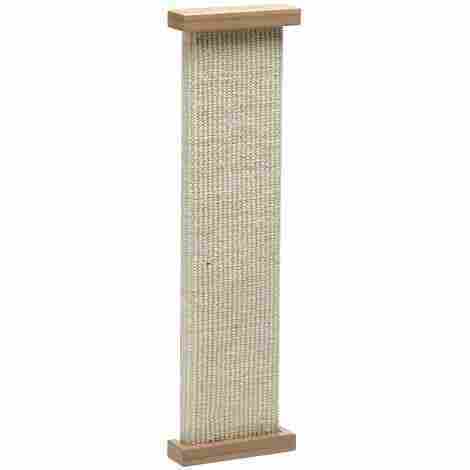 If your cat does not like sisal fibers, then you might find that the dense and durable cardboard on this catch scratching post is a good alternative to the traditional sisal. 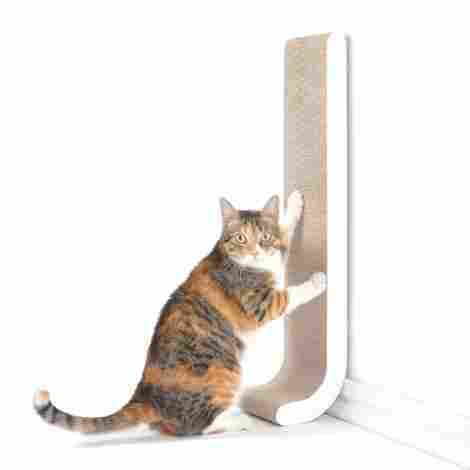 Since wall mounted cat scratching posts are usually on the smaller side, you do not want to pay too much for them. You can buy this cat scratching post for $30, which is definitely very reasonably. Coming in three different colors, the Molly and Friends Sisal Wrapped Scratching Post is a 35-inch tall cat scratching post with a base that is 18 x 18 inches. On top of this cat scratching post, is a large bed that is going to fit cats of all different sizes. Once your cat is done climbing and scratching the post, it can rest on top. The actual post is made from sisal, which is definitely a very durable fiber specifically designed for scratching. However, if your cat prefers softer materials, then the top and bottom are made from carpet. The price of this post is going to depend on the color that you choose, but each model is going to cost a little bit over $90, which is not cheap, but it will be worth the money if you are looking for a good sisal rope and carpet combination. The Furhaven Pet Scratching post is a smaller catch scratcher with dimensions of 16 x 16 x 22.5 inches. It is available in different colors, and it comes with toys. There are four colorful pom poms plush balls attached to the top of this cat scratching post to keep your cat entertained. A springy wand holds these plush balls up for added fun. While the scratching post is made from sisal fibers, the base is made from soft carpet. If you know that your cat prefers carpet, then the base may also be fun to scratch. You can get this cat scratching post for just over $28. It is cheap, but it still comes with lots of great features to keep both you and your cat happy. 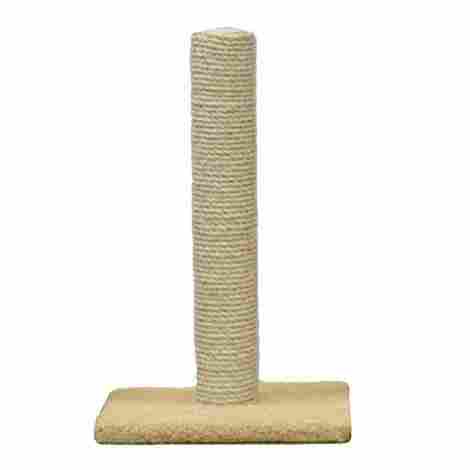 This 26-inch sisal fiber scratch post is great for smaller cats to climb on, play with, and scratch. The simple brown and black coloring will also look good in your home. This post is great for both scratching and playing. On top of the Max & Marlow Scratch Post, you will find a bird-shaped toy on a string that your cat can play with. The sturdy base on the bottom of this cat scratching post will ensure that the post will never tip over when your little cat tries to climb it or scratch it. For a little over $23, you can purchase this cat scratching post. It is definitely a good price because of its smaller size, but it still comes with some nice features like the toy. 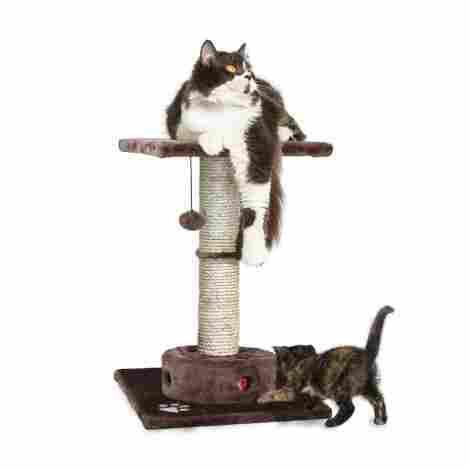 The Proffcenter Cat Scratching Post is only 15 inches tall, so it works very well for smaller cats. Your cat can also play and climb all over the post and the base. There are too sisal ropes on this post that each a different color. One is white, and one is brown, which means this post has a very exciting look to it. There is a toy at the top of this cat scratching post in order to keep your cat entertained. It is a white plush ball attached to a fun spring. You can get this cat scratching post for a bargain. If you have a smaller cat that does not need to climb to great heights in order to be happy, this cat scratcher is going to work well for you at a great price. The Sofa-Scratcher Cat Scratching Post goes on the corner of your couch to ensure that your cats do not tear your furniture. It works well for wide rounded furniture, but there are models that work well for square chairs and couches as well. This cat scratcher is designed to go on the corner of your coaches if you cannot find a way to get your cat to start scratching sisal fibers instead of ripping apart your couches. 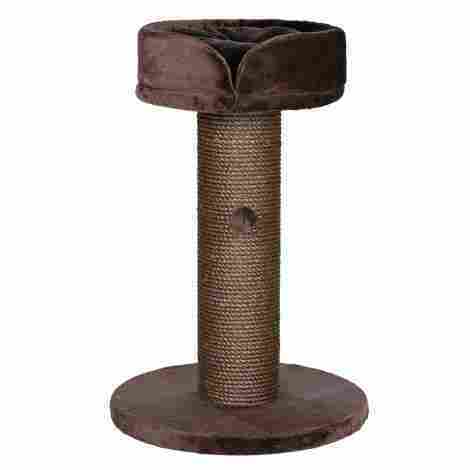 The premium sisal fibers used for this cat scratching post are made in the United States are widely approved by vets. They are durable and very healthy for your cat’s claws. At about $50, this post is not the cheapest model out there, but it is definitely reasonable. It is also the best couch corner scratcher, which is a great way to encourage your cat to stop scratching your furniture. Most cats love to scratch at various objects in order to stay happy and healthy. If you know that the claws of your cat seem to make their mark everywhere in your home, then you definitely want to get a good cat scratching post. There are many different styles, colors, sizes, materials, and prices for you to choose from, so it should not difficult to find a good cat scratching post that suits your needs. Some allow your cat to stretch and get good exercise as well. Some cat scratchers will come with toys or beds to keep your cat extra happy. Some are made from a material that you will not need to vacuum ever. All you need to is figure out what you and your cat like best for your home. If you get the right cat scratching post, then both your pet and your furniture will definitely thank you. There is no denying that it might be a little bit difficult to adequately evaluate which scratching posts are going to be the best. To ensure that your cat scratching posts meets an ideal standard, it must meet certain criteria. If it meets a wide range of criteria, both you and your cat should be pleased with the product. The whole point of a cat scratching post is to keep your cat happy. However, if your cat still prefers your scratches to the post, then it the post was probably a waste of your money. Therefore, you want to make sure that you have a cat scratching post that keeps your cats happy. Different materials will suit the preferences of your cat. Many cats like sisal fibers because they are designed to be attractive to your cat. They are also generally very good for the cat’s claws. The rough material is good for shedding the outer dead layer on the claws, so many cats tend to love the feel of it. Some cats, however, may prefer different materials. They may tend to get their paws stuck in certain designs; you want to find a material that is good for your cat’s paws. If your cat likes something softer than sisal, then you may want to go for a carpeted cat scratcher. Carpet usually does not last as long as sisal fibers, but it is great for cats who do not necessarily like the rough feeling of the sisal. The right material alone is obviously not always going to be enough to keep your cat happy. The best cat scratching posts also need to be sturdy. Otherwise, your rambunctious kitty might accidentally knock it over and get too scared to go back to it. It also helps if they fit in a location around where your cat likes to hang out. Good cat scratchers will be a practical size. They will be the right weight to prevent tipping, but also light enough that you can move them from room to room, depending on your cat’s needs. Eventually, you will probably find a good location that suits your cat. However, when you first get your cat scratching post, it will be a learning experience for both you and your cat. Cat scratching posts come in all different sizes. If your cat likes to stretch out and climb as it scratches, then you want a relatively tall post. The taller the post, the easier it will be to knock over unless the base is sufficiently sturdy and heavy. All the best cat scratching posts will not fall over that easily. Therefore, if you want a good lightweight post, then you will have to consider getting a post that is a little too small for your big cat. 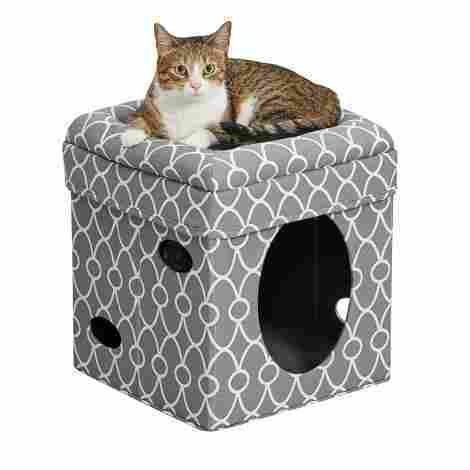 Smaller cats probably will not need such a big cat scratching post, but larger posts still might be convenient if they like to climb around. If you think a bigger post is good for you, then remember that bigger ones can be slightly more expensive. If you do not have space for even a small post, then there are some models that will save you a little bit of space. You can get a wall mounted cat scratching post, which just goes up against your wall. It is usually sturdy because it uses your wall for extra support if the shape and the design work well with your wall. A wall mounted post might even be big enough for larger cats that like to stretch. You can also try out a couch corner post, which attaches to the corner of your couch. It can hide already existing scratch marks on your furniture, and it is great if your cat really will not leave your couch alone. Additionally, it will save a lot of space, but it is only really going to be as big as your couch, so it may not be perfect if your big cat likes to stretch while scratching. 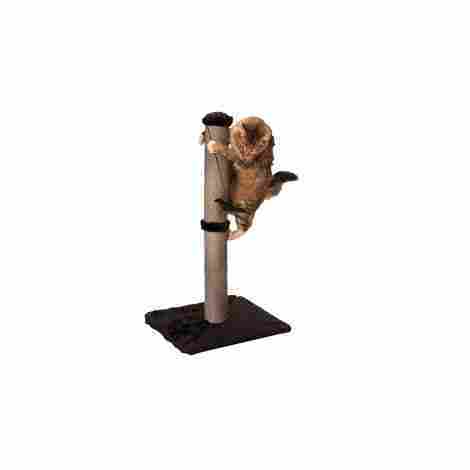 Plenty of cat scratching posts come with features besides simply possessing a pole that your cat likes to scratch. Some have both carpeted and sisal regions if your cat likes both the soft carpet the resembles your furniture and the rough sisal that is healthy for its nails. The carpet material and sisal fiber combination are also great if you are not yet sure what your cat’s preferences are. A combination post is a great way to figure out what exactly your cat is going to like. Another important additional feature is a bed. Lots of cats like resting on top of their scratching post. Therefore, lots of great posts come with a bed on top that your cat will love. It is an added bonus if you can sometimes remove this bed for when your cat is not in the mood to climb. Removal bed are also beneficial because they are easier to clean. If your cat is more of the playful type, then you can find a post with a toy on top instead. Most of the good toys will be a plush ball attached to a string or spring, but other shapes are also available if you think your cat may have other preferences. Since toys are relatively easy to break, some of the better cat scratching posts will come with more than one toy on top so that your cat can stay entertained for as long as possible. Some of the good cat scratching posts will also come with a toy near the base as well if your small cat is not so into climbing to the top of the post. Cat scratching posts are designed not to be torn apart the second your cat tries out its paws. However, nothing that is taking so much rough scratching is going to last forever. Still, you definitely want it to last a long time because you do not want your cat to eventually go back to scratching your sofa. Therefore, durability is definitely important. You do not want your post to break if it ever falls over, which is why the best cat scratching posts are going to be specifically designed with a sturdy base that can withstand climbing and rough scratching, even from the biggest cats. The material of the actual post is also going to make a difference because some materials are going to more durable than others. Sisal fibers, for example, tend to last a relatively long time. Carpet, on the other hand, gets torn apart quickly. You also will have to vacuum up all the carpet fibers that your cat leaves behind on the floor near the post. The carpets on the best cat scratching posts are going to be of high quality, so they will still last you a decent amount of time. However, in terms of durability, sisal is definitely going to be your best bet. Sisal is tough, and it can take a lot of scratching before your cat’s claws make all that much of a dent in it. You also do not need to vacuum it up ever, which is an advantage if you do not have enough time for all that much cleaning. The cost of your cat scratching post can vary, so you can find a good cat scratching post that fits within your price range. If a cat scratcher is expensive, it must be worth the money that you spend on it. It must last you a long time, and it has to be something that both you are your cat are going to be happy with. The better ones will be slightly more expensive, but you will definitely get a lot of good use out of it. The cheaper ones will be smaller, which means they may not last as long and they may not be ideal if you have a bigger cat that likes to stretch and climb. However, if a cat scratcher is highly evaluated, it will still do its job, even if it is on the cheaper side. Cheaper scratching posts should still be a product that your cat will enjoy more than it enjoys your couches and other furniture. It should also be able to last you a long enough time so that you do not have to replace it constantly. It may not last as long as some of the more expensive options, but it should definitely not fall apart quickly. The way your cat scratching post looks is not going to impact how well it works. However, if possible, you do not want a post that ruins the look of a room. Larger posts are especially prone to looking somewhat bulky and awkward. Therefore, if you can find a good one, then you definitely want a cat scratching post that does not make you cringe every time that you look at it. Good cat scratching posts come in multiple different colors so that you can choose a color that fits within your taste. A good cat scratching post should also be relatively easy to clean. Otherwise, it may end up collecting dust and dirting, making it look like a real eyesore. Darker posts are going to be less likely to get dirty. Some darker cat scratching posts also come with really classy designs that you may really like. Sometimes, you may be able to get away with hiding the post in a basement, where its ugliness may not make a difference at all. However, if it is not in a location that your cat likes, then it may turn to scratch up your furniture. Therefore, hiding a post may not really be an option, so it may be more important than you think to ensure that you like the way the post looks. Again, functionality is definitely more important than aesthetic quality, but the best catch scratching posts are going to be, at the very least, reasonably attractive. Q: Do cat scratching posts come fully assembled? A: Usually, they will not come fully assembled, especially if you chose to get a bigger one. However, all the best cat scratching posts will not be outrageously difficult to assemble on your own. For a good cat scratcher, the most difficult part of it may be that your cat decides to start scratching at the fibers before you even finish putting it all together. Q: What happens if a cat just does not seem to like the post? A: Normally, if you get the right post, your cat will enjoy it. However, there is always a chance that your cat simply continues to spend all its time scratching the furniture. There are a number of solutions to this problem. You can try getting a cat scratcher that has a good toy on top, or you can attach your own toy. If your cat is not the type to enjoy toys, then you can try putting some catnip around your cat scratcher. If the catnip does not end up working, then you may want to consider that you chose the wrong post. Every cat is going to have its own preferences and its possible that your cat does not like the size or material of the post that you chose. Trying out another design might be your best solution. You should know that if your cat does not like to scratch at the right materials, then you may have to clip its claws yourself. Q: Does it matter if the post is hollow or not? A: Some cats will not care, but hollow tubes do make quite a bit of noise. If you know that your cat is going to like the noise, then you should definitely try to find a post that has a hollow tube. Additionally, hollow posts tend to be bottom heavy, which means they will not topple easily. The top may wobble a bit, but a heavy and sturdy base will ensure that it will not fall over. A top-heavy cat scratching post is not going to balance as easily, especially if your cats like to climb and stretch. Q: Is a second scratching post necessary if you have more than one cat? A: If both your cats seem happy to share, then it is not necessary. However, usually, cats like to have their own scratching posts. Part of the reason why cats like to scratch surfaces is to mark their territory. Sharing a post with another cat will mean that it is more difficult to mark the territory as their own. As a result, one of your cats may decide that they need to mark their territory somewhere else in the home, which means that you may start to find that your furniture is all scratched up. Therefore, if you think your cats are not happy with sharing, then you should definitely try to get a second a post.